Velosio is well known for expertise in helping project-oriented companies to leverage Microsoft and other technologies to operate more efficiently and profitably. Solutions like AXIO Professional Services enhance Dynamics 365 for Operations and Progressus for Professional Services provide PSA and ERP for Dynamics NAV. Another solution, Dynamics 365 Project Service Automation (PSA), is available to project-oriented companies who wish to dive into the Dynamics 365 platform. Instead of an ERP-based project management solution, Dynamics 365 PSA offers a more client-centric based solution. Each of these solutions provide customers with comprehensive feature sets nested in a full Microsoft customer experience. The trick is understanding the short-term and long-term benefits of each solution to understand which best fits a specific customer environment. In this post, we will explore Dynamics 365 for Project Service Automation (PSA) to better understand what types of companies it would serve the best. Microsoft Dynamics 365 for Project Service Automation Enables project-based organizations to deliver every customer engagement on-time and within-budget through an end-to-end solution for sales, planning, resourcing, delivery, and billing. Provide powerful, easy-to-use, mobile-ready O365 productivity tools for project teams, customers, and partners to communicate and collaborate on project deliverables and tasks. Empower project managers by providing real-time status and performance indicators to mitigate project risks. Simplify management, tracking and submission of estimated and billed project time by integrating the tasks and deliverables within calendars. Track all project and non-project schedules on their device or app of choice through integration between exchange and project calendars. Anticipate business opportunities, optimize solution offerings, and improve business performance through robust analytics, interactive dashboards, role-base templates, and data visualization for 360 visibility to project and portfolio metrics like resource utilization and practice profitability. For additional insight into the features and capabilities of Dynamics 365 Project Service Automation, you might want to read this post written by Sandeep Chaudhury on the Dynamic Community blog. What Companies are the Best Fit for Dynamics 365 Project Service Automation (PSA)? This solution helps companies manage the entire project sales and delivery cycle, but shines more in earlier, front office, stages of the client engagement like sales and quoting. Because it is based on a CRM platform, the solution is fairly flexible and many per-company customizations can be created without back-end programming. Integration with Office 365 and other Microsoft tools is robust as well. However, this flexibility comes with a price. While the solution provides strong collaboration benefits between sales and delivery resources, it is most effective for companies with smaller delivery teams and less complex projects. For instance, the solution provides a very user-friendly scheduling function with Outlook calendar integrations that makes managing resources against a project work quite well. But, for larger companies with hundreds or thousands of delivery resources, the solution is lacking the strong skills based scheduling that is available in AXIO for Professional Services. When the team size is small and scheduling resources are familiar with individual skill-sets, this is less of a problem. When teams get larger and projects become more complex, or when the scheduler is assigning resources across the globe having never meet or assessed the resources being scheduled, this can be a show-stopper. Examples of companies that might benefit from Dynamics 365 for Project Service Automation are marketing and media firms, light management/consulting firms, smaller IT services firms, and many other white-collar consulting firms. Although I’m calling out smaller companies, it could be a great fit for large companies as long as their project delivery is still fairly simple. Think about a company that provides creative design for television ads vs. a consultancy that deploys large, integrated ERP systems. The latter may take anywhere from 6 months to 3 years and require multiple milestones, different skill-sets and formal call-center or on-site support. Other business that may struggle with CRM-based PSA are Architecture and Engineering, Construction, Software Publishers or even specialty manufacturers. If you are researching your next solution, please feel free to reach out and we’ll help you dig into the details. After all, selection of this nature can be one of the most important decisions your company will make. Robbie Morrison has spent nearly 20 years helping customers build and deploy elegant technology and business solutions. From start-ups to enterprise-class organizations worldwide, his knowledge of the Microsoft Dynamics ecosystem helps Velosio customers maximize benefits from the ERP investments. Today, Robbie serves Velosio customers in his role as Vice President, Enterprise Group where he provides thought leadership and manages the enterprise delivery team. 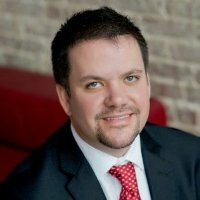 Robbie received his MBA from the University of Georgia, Terry College of Business.